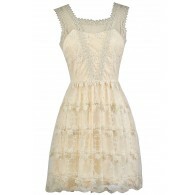 You have added Prairie Princess Eyelet Embroidered Halter Dress into shopping cart. FINAL SALE. 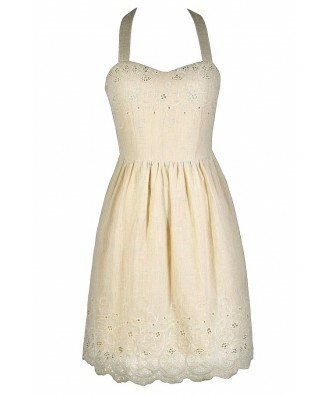 We love the down-to-earth girly prairie vibe of this cotton sundress. 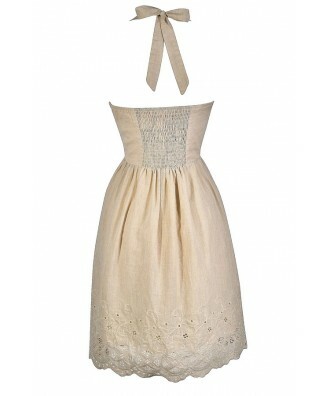 The Prairie Princess Eyelet Embroidered Halter Dress is made of 100% cotton with a natural linen feel to it. 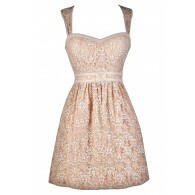 It has halter straps that tie in the back of the neck, a sweetheart neckline, empire waist, and flowy A-line cut. 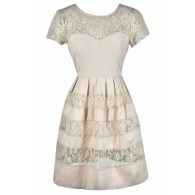 Embroidered designs with eyelet cutout decorate the bust and hemline of this dress, adding detail to an otherwise simple style. Fabric ruching at the back and a hidden side zipper complete this dress. 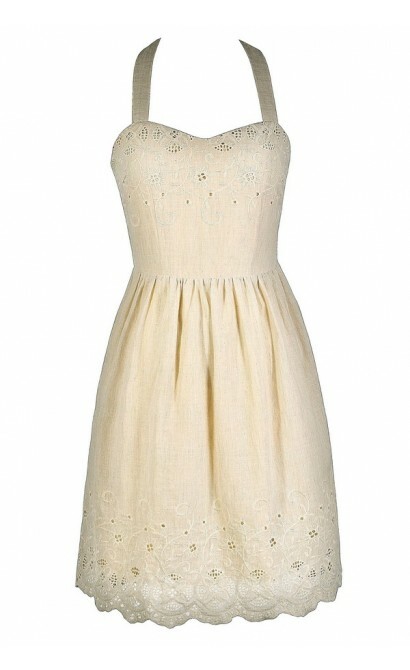 The Prairie Princess Eyelet Embroidered Halter Dress is a cute summer dress that looks nice paired with wedges, pumps, or flats. Details: Fully lined. Hidden side zipper. 100% cotton. Lining: 100% polyester. Hand wash cold. Do not bleach. Hang or flat dry. Low iron. Small measurements: Length from top of bust to hemline: 31". Bust: 32". 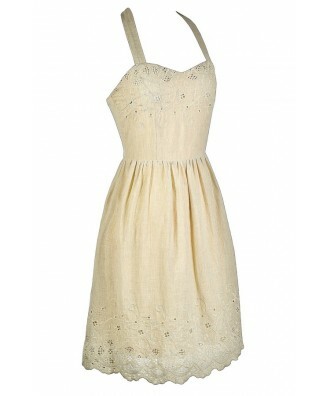 You have added Prairie Princess Eyelet Embroidered Halter Dress into Wishlist. 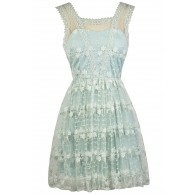 You have added Prairie Princess Eyelet Embroidered Halter Dress for Stock Notification. 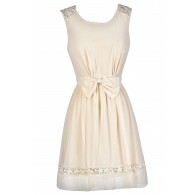 You have set Prairie Princess Eyelet Embroidered Halter Dress as a loved product. 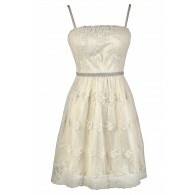 You have removed Prairie Princess Eyelet Embroidered Halter Dress as a loved product.